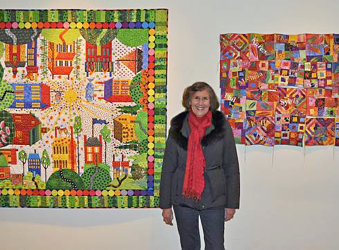 I love sharing that passion with friends, family, fellow quilters and those who appreciate the beauty, color and excitement of fabrics combined to make unique quilts and quilted wall hangings. I graduated with a degree in art from San Jose State University and have loved to sew as long as I can remember. In 2011 I faced up to the fact that I had always wanted to try watercolor. As you can see on the following pages, it has become another passion. I’m learning something new every day, which in itself is very important. Carry on and create.